Every app needs an app icon. We gathered insights, guidance and templates in order to ease the design of beautiful Sailfish OS Apps icons. 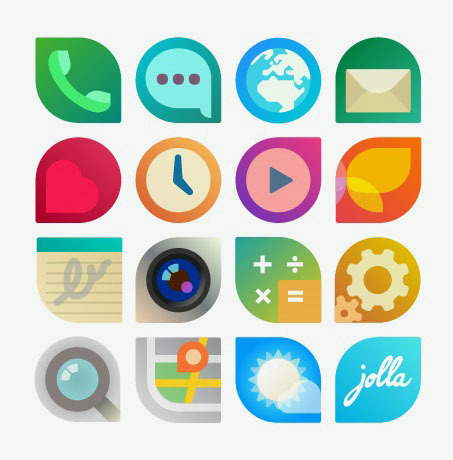 Read how the Sailfish OS app icon distinctive shapes were created. Get inspired by checking the Sailfish OS app icons and create your own app icon by using the provided template. The template is available in different file formats so that you can use your favorite app (vector shape editor or image editor) for creative process.